Page F30: Why are we going back to the Moon? We've already been to the Moon. Why are we going back to the Moon? We've already been to the Moon. "Why are we going back to the Moon? We've already been there." <-- No argument against going back to the Moon is more annoying than this one. Considering that our total time on the surface of the Moon throughout the entire Apollo program has been a grand total of 13 days, no, we haven't really been to the Moon any more than you've been to Germany because you've spent 13 total days there due to a conference or two you attended. Maybe you spent a night or two at a pub or a coffee shop there, watched some tv and made a few friends, and saw a sight or two near the hotel. But that person hasn't really lived in Germany, has he? And when the decision is finally made to go there to live it isn't really "going back", it's simply truly going there for the first time. The Moon is big, and the numbers alone don't do it justice. 10921 km circumference...so what does that mean when compared to the Earth? Well, it has a surface area the size of Africa plus Australia. 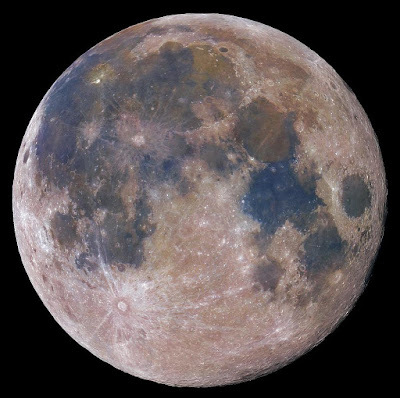 Okay, but that's still a bit hard to imagine for most, so I've made up a pair of images showing how some cities in Europe and North America would match up when compared with the Moon. Keep in mind that this is using a very rough scale; its only purpose is to give some idea of just how huge this body is that we really haven't even begun to explore. First, here's a nice image of the Moon. Now, let's take some major cities in North America and put them on this image. On the side facing us alone it easily encompasses the region from southern Canada to the entire United States, and even down into Mexico. How about Europe? We'll put Tórshavn (that's the capital of the Faroe Islands) up in the northwest part of the map, which makes Switzerland roughly the centre. Moscow is there at the far east, and you can reach as far south as Cairo with ease. So next time someone is wrong on the internet and tells you that there's no reason to go back to the Moon because we've already explored it, send them this map and watch them realize that they're wrong. Two other posts related to this subject: here's one on the false idea that we're "going back" to the Moon, and here's another on visualizing the surface area of planets and asteroids.